We love any excuse to blog and wine and food in Santa Fe. Santa Fe is one of the worlds most treasured destinations, with a huge repuation for spectacular food, excellent wines, and a vibrant atmosphere in which to enjoy all of this. If you consider yourself a foodie, or just like to benefit from a thriving foodie culture with award-winning restaurants all around you, then Santa Fe should certainly be at the top of your travel list. In Santa Fe, food is a sort of artistic expression, and is an extension of the colorful, vibrant, and artistic community that has called Santa Fe home for decades. 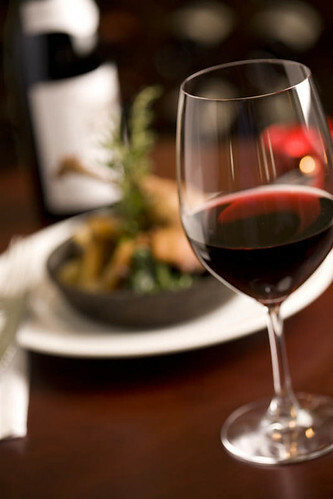 If you happen to also enjoy a good glass of wine, then the Santa Fe Wine and Chile Fiesta will give you the best of both worlds. To take part in this spectacular annual festival, book your room at our luxury Santa Fe Bed and Breakfast today. Let’s take a minute to get your mouth watering and talk about the food in Santa Fe. Santa Fe has been ranked as one of the top 10 food destinations by Tripadvisor, has been listed as a Best Food Town by Rand McNally, and has a variety of James Beard Award-winning chefs and restaurants. The local New Mexico chile’s certainly make their way into many dishes and in a variety of ways that you’ll have to taste to believe. What’s even better is that there are over 200 spectacular restaurants featuring a variety of foods to try, from your traditional New Mexico cuisine to creative contemporary cuisine or Asian, French, Italian, Indian or Middle Eastern cuisine. It would be virtually impossible to eat every fantastic dish in Santa Fe, but the best of the best can be sampled in much easier and more enjoyable fashion at the Santa Fe Wine and Chile Fiesta coming up in September. The Santa Fe Wine and Chile Fiesta is an annual 5 day celebration of food and wine that features scrumptious offerings from local restaurants, exquisite wine tastings, cooking demonstrations, informative seminars, and more. There are also a selection of fantastic wine dinners at local restaurants that you may choose to participate in. Perhaps the best part of this entire week of events is the Grand Tasting, which takes place at the stunning Santa Fe Opera. Here, about 90 wineries and 75 restaurants come together for a stunning food and wine event that should not be missed. 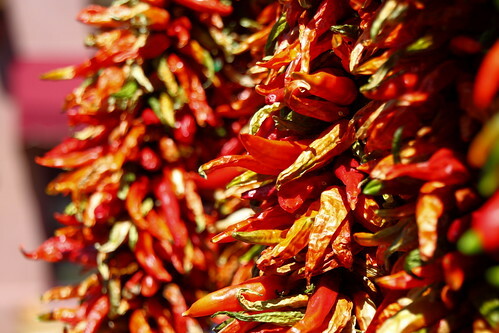 No matter how you choose to enjoy it, we know you won’t be disappointed by 2015’s Santa Fe Wine and Chile Fiesta. Tickets and rooms sell out fast, so don’t hesitate and book your room at our Santa Fe Bed and Breakfast today.